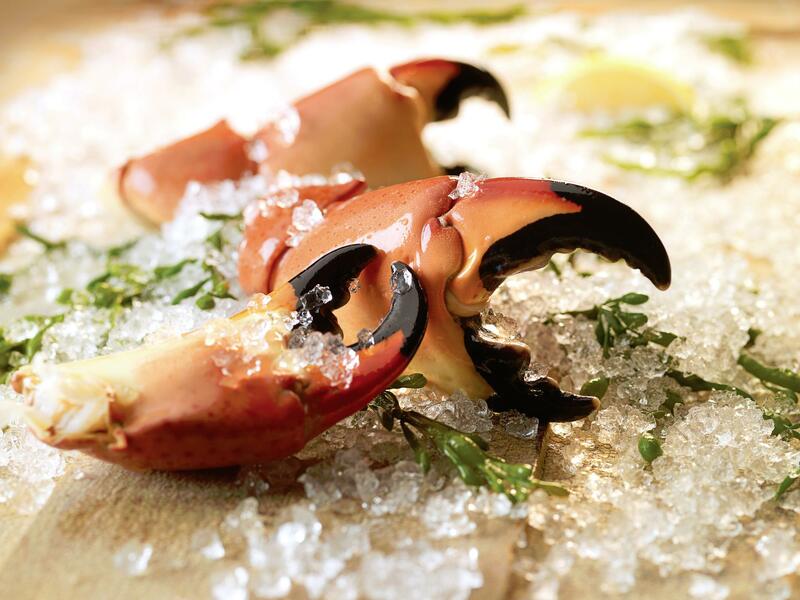 October 15th opened the coveted Florida Stone Crab Season. We are positioned to be your direct Fresh Claw ambassadors. Florida Stone Crab Claws are an easily marketable, fine dining, menu-able product that holds the utmost “Briny Sweetness”. From Miami to Phoenix to Vegas to L.A., the Stone Crab has starred in the successes of many of our customers. SeafoodS.com is striving to promote these seasonal phenomena to anyone who would like to serve the best… Florida Stone Crab Claws! These delicious, revered, and celebrated claws have a “hand” in launching a nation-wide love of the iconic Crab House. Restaurants have, for decades, worked to refine their presentation and application for Fine Dining. This has brought Stone Crab Claws to their highest culinary pinnacle. The Stone Crab boasts one of the sweetest flavor profiles of any crustacean, and SeafoodS.com will be positioned as a direct shipping avenue for the freshest Stone Crab Claw. 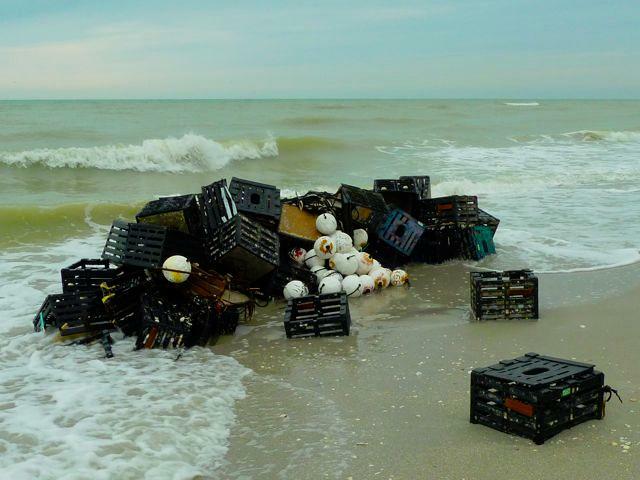 Stone Crab traps will hit the Atlantic and Gulf are here! SeafoodS.com invites you to reach out to our experts to secure this program for you and your guests. Preorders will be accepted, and they are highly recommended. SeafoodS.com has a long standing relationship with the Watermen of Florida whose livelihood depends on these crustaceans. Just south of Tallahassee, in the heart of Florida’s “Big Bend” region is the port City of Saint Marks. This is the water side home of Richard, Andy, and Johnny. They are brothers from a family that has fished Apalachee Bay and the Gulf of Mexico for six generations. They each captain a boat in the family’s five boat fleet. The most notable end result of their efforts is the renowned claw of the Apalachee Stone Crab. Atlantic Stone Crab is also highly sought, and SeafoodS.com has an incredibly secure position in National Distribution. Through our “Florida Direct” Program, we source only the highest quality product available for next day delivery to our customers. This is an opportunity for our customers to doubly expand their reach into a competitive and aggressively desired menu-able product line. In each location, the Claws are meticulously harvested, brought to dock, and masterfully steamed and chilled for the highest quality Claws on the market. They are then packed and shipped within hours. 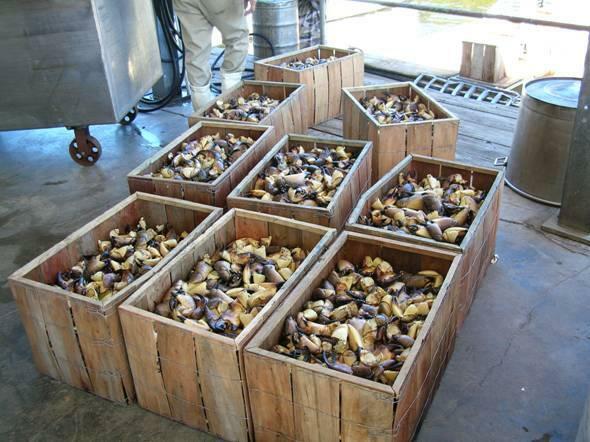 Florida Stone Crab harvests are one of the most “sustainable” crab industries in the world. Only the larger claw is removed, returning the live Stone Crab to the water to regenerate another claw. Wooden traps have historically made “Crab Hunting” by Octopus, (natural crab predators), very easy. SeafoodS.com’s partners have found opportunity in this environmental reality. They utilize heavy steel traps to prohibit the Octopus from entering. They also position Octopus Pot Traps nearby to capture the Cephalopods. These Octopus Traps also capture Black Sea Bass which will accompany the Crab and Octopus back to Dock for next day delivery to your restaurant! Consider all of the benefits to a direct line into Florida’s finest seafood for your Autumn Menu. SeafoodS.com can fill that need and much more. 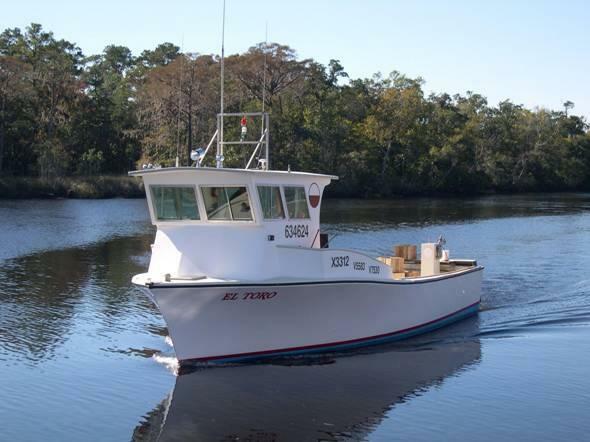 In the pre-dawn hours of October 15 th , Captain Andy and Captain Johnny will sail down the St. Marks River, into Apalachee Bay, and begin a process that runs until mid May. Four days a week they will crab fish between the hours of 4:00AM and 6:00PM, followed by claw processing from 6:00PM to 9:00PM. They bait and set a total of 6,000 pots in a fishing zone spread over 24 miles and in waters ranging from 6 to 35 feet in depth. Seven hundred pots are pulled, fished, and re-baited each fishing day. Claws must be of legal size. Once a pot is pulled, the claws are measured, one legal claw is removed and the crab is tossed back into the water. The crab men are adept in identifying egg bearing female crabs and these are instantly returned to the sea with both claws still intact. The claws are not iced on the boat as this will cause the meat to stick to the shell after processing. Upon returning to the docks, the claws are graded as follows: Colossal (1-2 ct), Jumbo (2-3 ct), Large (3-5 ct), Selects (6 ct) and Medium (7-8 ct). Selects are perfect for restaurants desiring claws that are all the same size. After grading, the claws are steamed at a maximum temperature and held for ten minutes before being “shocked” in an ice bath to reduce the temperature. They are then packed and shipped to your receiving docks and kitchen doors. Categories: IN THE NEWS, MARKET UPDATES | Permalink.